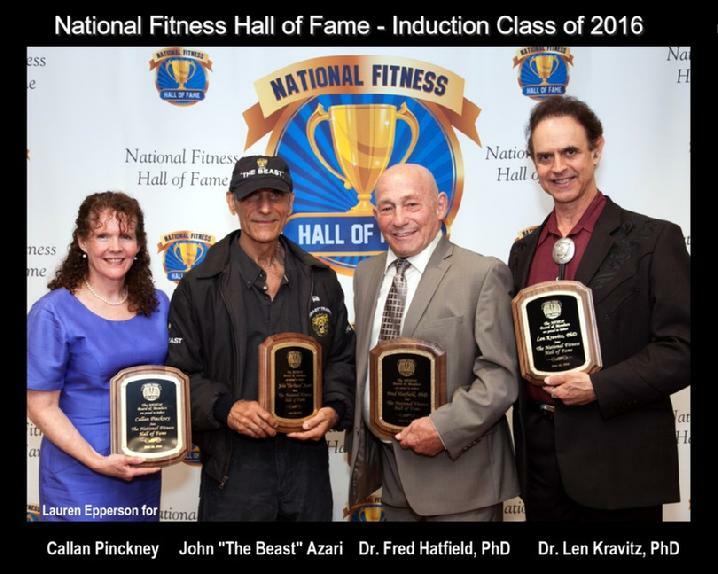 & the National Fitness Hall of Fame Re-Opening in Addison, Illinois! 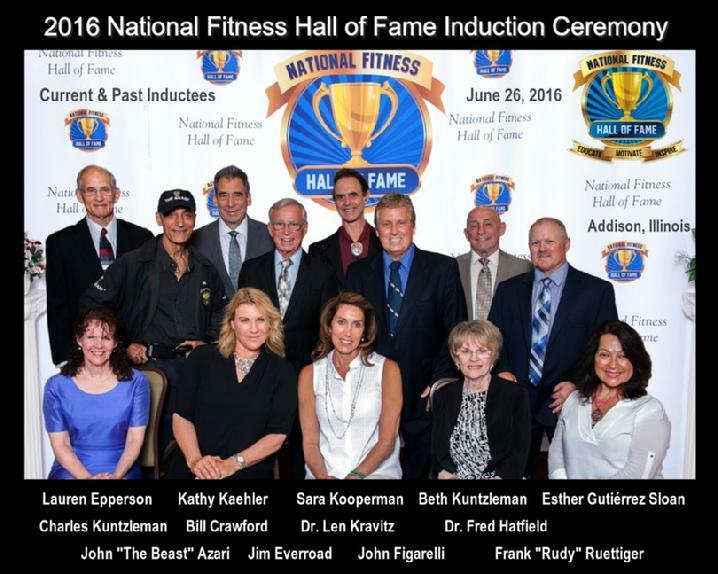 On June 26, 2016 the NFHOF re-opened its doors to the public. Closed since 2012, the new facility is something to behold. 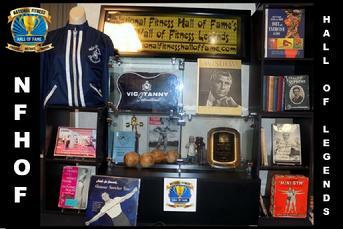 The 1,100 square foot museum, affectionately known as "The Hall" is divided into several rooms, each with unique décor relating to "Fitness History" and those who inspired it. 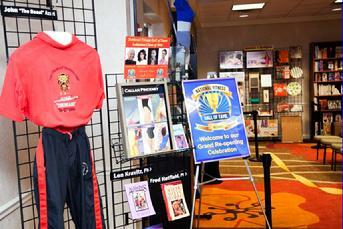 One such room, the Gadgets & Gismos room displays numerous products designed to inspire the public to get fit. Some products were good, however most were gimmicky like the “twist board.” Inspired by the popular dance-craze, “the Twist;” the twist board promised to get everyone in great shape by “dancing the night away” on this little board. Several versions were produced and many were on display for all of see and try! “Being nominated and chosen to be inducted into a Hall of Fame isn’t something I had ever aspired to achieve. Of course, I was honored beyond words, but I didn’t know what to expect when I showed up in Chicago. I was very pleasantly surprised that it was an extremely happy group of dedicated fitness professionals who showed up. Everyone seemed to have a great time during this historic day as several inductees expressed tremendous sentiments of gratitude. We would like to thank all of our fantastic supporters, volunteers and of course give a special “shout-out” to our terrific sponsors, the American College of Sports Medicine (ACSM) and the American Council on Exercise (ACE) for helping to make this event possible.